In 2019, there will be a record number of women joining Congress. Of this freshman class, one third of the group will be women of color and include the first Native American woman and the first Muslim woman. While these facts evoke feelings of optimism, it shouldn't be ignored that there will still be three men for every woman serving in Congress in 2019. It also shouldn't be ignored that more than half of the women being inducted are white. 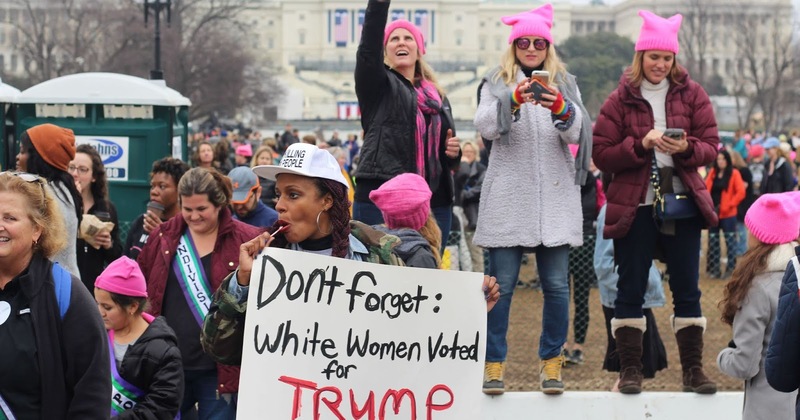 In this ever-evolving political climate, are we doing enough to ensure that intersectional feminism is continuously a part of the conversation? 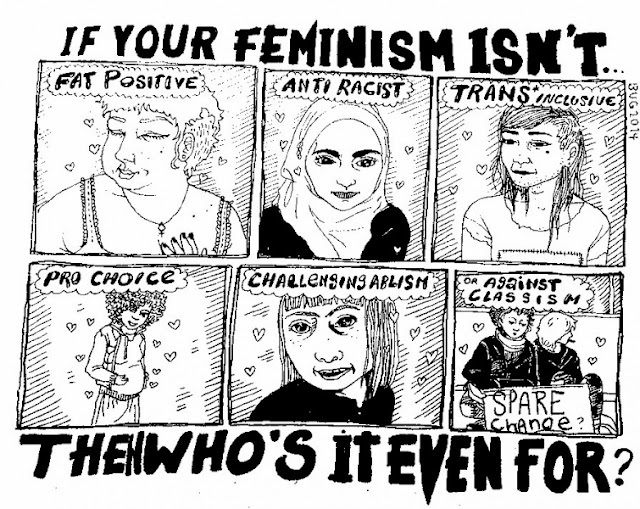 Fourth-wave feminism has cultivated quite the negative connotation since its beginnings in 2012. A simple Google search of modern day feminism comes up with a long list of condescending articles written about all of the flaws of today's feminists. In what seems to be a progressive time for women, the association of that with the term feminism has seemed to disconnect. This detachment can be seen most evidently in the way that the issues faced by women of color are generally disregarded by the current culture as a whole and are secluded from most mainstream political conversations. Black mothers are three times more likely than white mothers to die during childbirth and the infant mortality rate for black children is twice that of white children. While all women currently make 77 cents of every dollar made by a white man, black and Hispanic women only make 70 cents and 61 cents of that factoring statistic along with significant gaps in average weekly incomes when compared to white women. Women of color are also twice as likely to be employed by lower-wage sectors while making up 33 percent of the female workforce. Women of color have higher rates of diabetes, heart disease, certain cancers, and other life-threatening diseases while also making up 53.2 percent of uninsured women. The list of concerning statistics ranges on into the platforms of education, health care and political leadership. There is an inexcusable epidemic raging against women of color starting, quite literally, the day they are born. Women of color are in desperate need of the feminist movement that so often neglects them. Most politicians think that the protection of women's health started and ended with Roe v. Wade, but so much has changed racially in America since 1973. Women's health isn't just about abortions and birth control, it is about life or death. Non-intersectional feminists reap the benefits of feminism without considering the needs of the women that are at a natural disadvantage. This comes to light on most election days when most white women walk into the voting booth and favor the GOP because their vote doesn't directly affect their lives in any threatening way. For women of color, elections are a way of asking for help from a system that continuously ignores them. Democratic political leaders also fail to bring the issues facing women of color with them to office, because they know they don't have to try in order to acquire their demographic at the polls. The Republican Party, on the other hand, is the reliant on the margin of white women that propel them through elections. Mass acknowledgement of this issue could be the solvent to the life-threatening issues facing female minorities. Feminism is and always has been an important part of America's political conversation, but is refrained from changing with the times in a way that includes women of all races. Mass media has allowed petty issues to take the stage of modern-day feminism, while women of color have been patiently waiting in the wings, but the wait has cost some of them their lives or their ability to better their lives. The face of feminism needs to be repainted; women of color are depending on it.